Carefully decorated office lobbies and waiting rooms are a must for many types of businesses. It’s important for them to make a good impression and for their customers, clients and patients to be as comfortable as possible while they wait to be seen. In addition, hotels must outfit their rooms with upholstered chairs, couches and sofa beds to make their guests feel right at home. 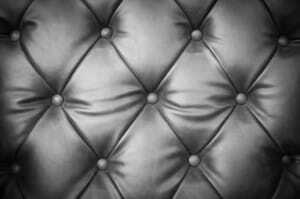 Indeed, there is a large place for upholstered furniture in a business environment. However, if this investment in furniture is not taken care of regularly, it can quickly turn sour. Normal wear and tear can produce ripped seat cushions and worn upholstery over time, but fabrics and furniture that are not well maintained will deteriorate at a much faster pace. Give it a coat of armor. Business owners can’t wrap their upholstered furniture in plastic to prevent rips and stains, but they can give it a protective coating before placing it in public areas. This magic solution is fabric protection. What fabric protection does is gives custodial employees, staff members and housekeeping staff more leeway before liquids are absorbed completely into the fabric. So, if a spill isn’t reported right away, there still may be time to clean using conventional methods. This invisible protective barrier also prevents dirt from getting ground into the fabric thereby protecting the fibers from breaking down faster. It’s easy to see that this simple action of applying a fabric protectant can help boost the durability of the upholstery and give the furniture a longer life span. Move upholstered furniture away for the sun’s glare. Furniture upholstery needs to be protected from the sun’s rays to prevent premature fading. It takes no money at all to rearrange the furniture or pull the blinds shut in order to reduce the impact of the sun’s strong ultraviolet rays. Insist on daily inspections. Even if you have an independent cleaning crew that visits weekly, it is essential that staff members take a few moments inspect the furniture and address any immediate issues. Have some quality cleaning products on hand. A foaming cleanser is a great choice because it is gentle on upholstered fabrics, but tough on stains. It is also easy to use as it involves spraying just the amount needed directly on the fabric. Foaming upholstery cleaners can also be used for pre-treating stains before using a heavy-duty cleaning extracting machine to deep clean. Hotel housekeepers should look at each piece of furniture as they complete their cleaning and inspection tasks. They should take care of the problems that they can immediately or record any maintenance issues for management. Prevention is key. Regular vacuuming will help keep ground-in dirt from sinking into the fabric’s fibers. If coffee, tea or soda is offered to guests, make sure there is a table for them to set their beverages on. If a water cooler is available, neatly stack a pile of napkins nearby so visitors can wipe up small spills themselves. If the business caters to children, have a small play area set up in a corner with durable plastic furniture so their sippy cups and bottles can stay there and any accidents can be addressed immediately. Stay aware. While it is relatively simple to clean upholstered furniture, here are some precautions to heed. – Don’t use too much water or the fabric might shrink or create a moist environment perfect for mold to bloom. – Make sure the water being used to rinse the fabric after cleaning stays on the fabric. Avoid having water seep into any metal components, wood accents, reclining levers or cushion zippers. This entry was posted in General Cleaning and tagged Foam-It-Gone, furniture, upholstery, vacuum. Bookmark the permalink.